You can't find these on the keyboard, so can't type them in your code. 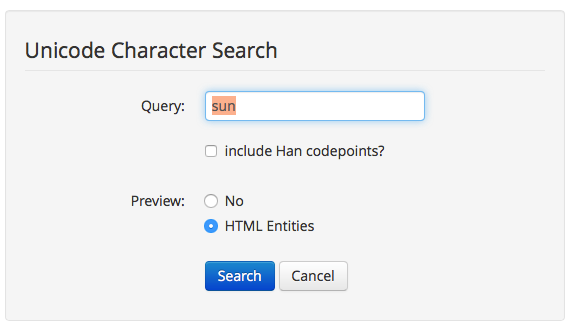 Instead, you need to use a special code (unicode), for the character you want. By putting \u at the start of the String, you tell Python it is a Unicode character. This works well in Python 3.x, as it knows what unicode characters are. As demonstrated above, it's best to define any Unicode characters you want to use as constants, then you can use them in your code just like any other string. There is also an issue with Python GUIs in general, where they can't actually (yet) display all of the different Unicode characters. If the character has more than 4 digits in its code, it probably won't work. So, make sure you test them! 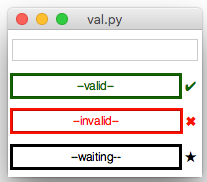 As you can see, it's hard to make your code work on all versions of Python. The switch from Python2 to Python3 caused lots of problems, as the u prefix was removed. As of Python 3.3, the u prefix was brought back (although it doesn't do anything), but that still meant Python3.0 to Python3.2 didn't support it. So, the best solution, if you want your code to work on all versions of Python, is to not use the u prefix, and instead change the way Python2 works. If you include from __future__ import unicode_literals at the start of your code, you can include unicode characters in Python2, without using the u prefix - print('\u23F9') will then work on every version of python.